Flue Free helps maintain clean chimneys for maximum efficiency, lower fuel costs and a reduced risk of fire from your stove. 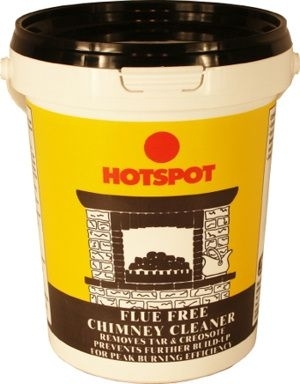 Flue Free comes in a 750g tub. Two tablespoons should be sprinkled on to a low fire twice weekly to help reduce creosote and tar build up in your flue and chimney.